John Deere is expanding its range of mid-size 6R and 6M Series tractors, which it says will offer reduced operating costs as well as improved manoeuvrability and enhanced operator comforts. A total of 14 new four-cylinder and large frame six-cylinder models with Stage IV engines from 110 to 195hp will replace the current Stage IIIB compliant models from the end of this year, the company says. The new range will be available from November 2015 (6R) and spring 2016 (6M) respectively, and these new full-frame tractors also feature a wide range of transmissions and up to six SCVs, as well as a premium front hitch option. 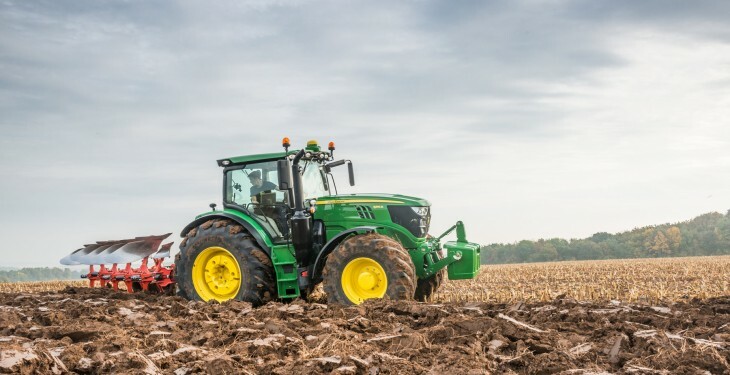 The new 6R Series four-cylinder premium tractors are powered by 4.5L John Deere Powertech PSS engines rated from 110 to 135hp (97/68 EC), it says. The six-cylinder versions, it says feature 6.8L John Deere Powertech PVS engines rated at 145 and 155hp (97/68 EC). All new 6R Series tractors are equipped with John Deere’s intelligent power management system (IPM), it says, which adds 20 to 30hp on the four-cylinder models and 40hp on the six-cylinder versions. All John Deere Powertech PSS engines feature series turbochargers plus diesel particulate filter (DPF) and diesel exhaust fluid (DEF) systems to comply with Stage IV emission regulations, the company says. John Deere says these are designed to keep running costs at low levels and provide maximum response to load changes. 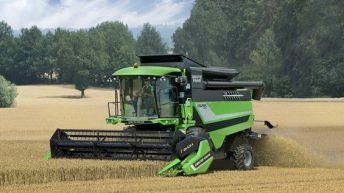 To further reduce operating costs, it says the new Stage IV engines are equipped with a lifetime DPF, and the 6145R and 6155R tractor models also now feature a 750 hour engine oil change interval. 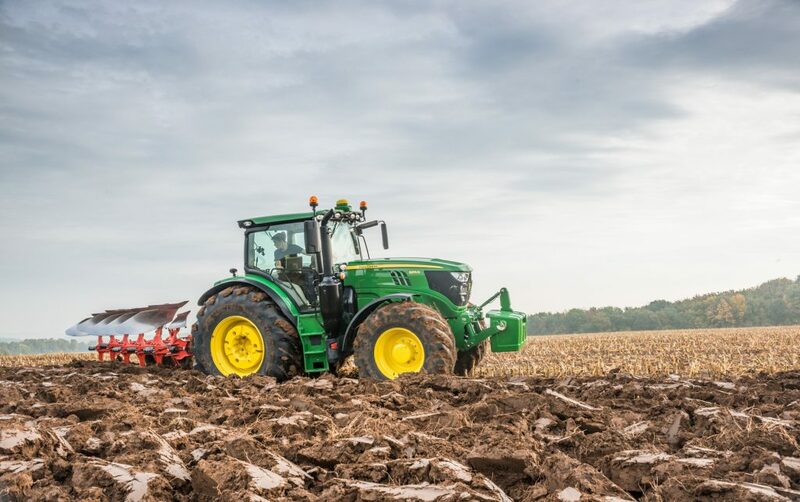 A wide range of transmission options makes John Deere’s 6R and 6M Series tractors versatile workhorses for arable, livestock and mixed farms as well as contracting businesses, it says. Depending on the model, John Deere says that the 6R Series tractors are available with the proven Powrquad Plus powershift or Autoquad Plus/Autoquad Plus Ecoshift transmissions, the Autopowr continuously variable transmission or the advanced Directdrive double-clutch transmission. John Deere’s new 6M Series tractors from 110 to 195hp feature a choice of Powrquad Plus, Autoquad Plus/Autoquad Plus Ecoshift or the all-new Commandquad Plus/Commandquad Plus with Ecoshift powershift transmissions. 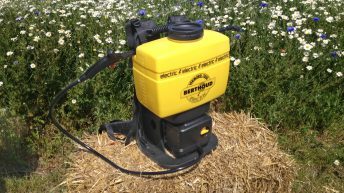 Models from 110 to 155hp in this range will also be available with an optional creeper transmission to meet the needs of specialist crop producers, it says.